Oh right...and hear I was thinking all the females were gonna complain about the toilet seats being up. 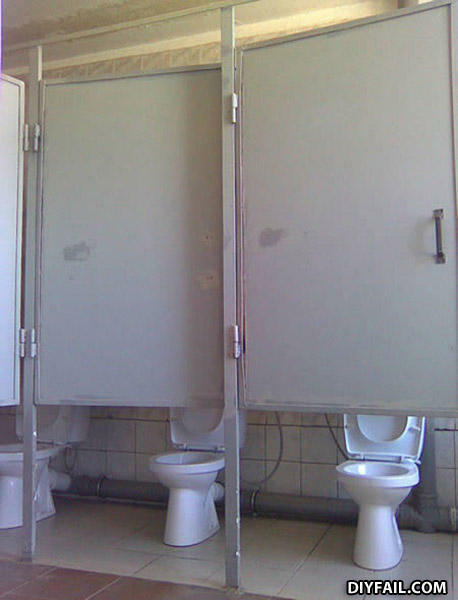 Shithouse doors! So your elementary teacher can see everything you do..
At the Dwarf Institute, the order was made to make toilets the right size, they just forgot to fix the doors.